This product is no longer available and has been replaced by: TDR100. The 1502CCS applied an electromagnetic pulse to the TDR probes. It then sampled the reflection from the TDR probes and digitized it for analysis by the data logger algorithm. 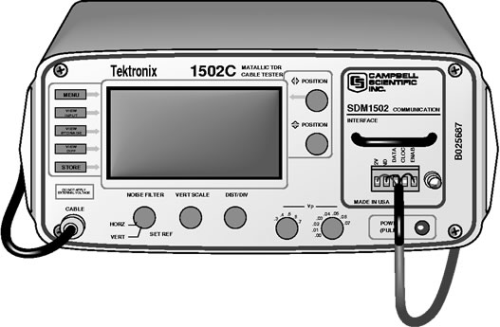 The 1502CCS was a 1502C modified by Tektronix to accept Campbell Scientific’s PS1502B Power Control Module.